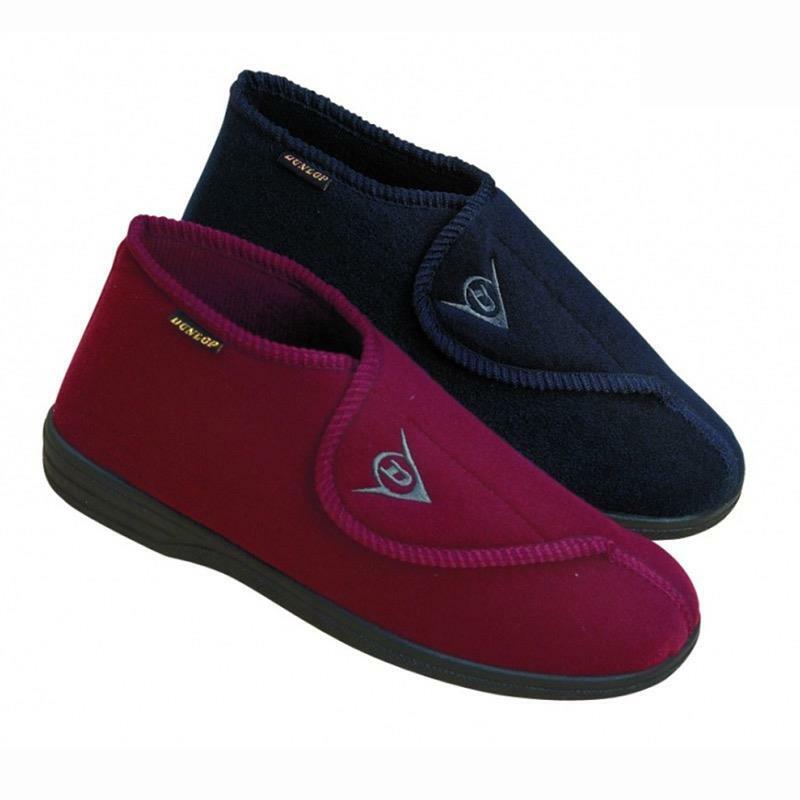 These Dunlop Mens Slippers are comfortable and stylish and have a wide opening for swollen feet. They are easy to get on and off by simply using the hook and loop mechanism. These Dunlop Mens Slippers are comfortable and stylish and have a wide opening for swollen feet. They are easy to get on and off by simply using the hook and loop mechanism. They feature non-slip hardwearing soles and are machine washable. Available in sizes 6 - 12.